Novant Health UVA Health System Imaging – Centreville offers the services of a “financial navigator” to patients who need help estimating their insurance-covered and out-of-pocket expenses for a wide range of medical and surgical procedures, including imaging, before they receive treatment. Call 703-242-2106, Monday through Friday, 8 a.m. to 5 p.m. Voicemail is available for after-hours or weekend calls. Outpatient imaging now available in Centreville! 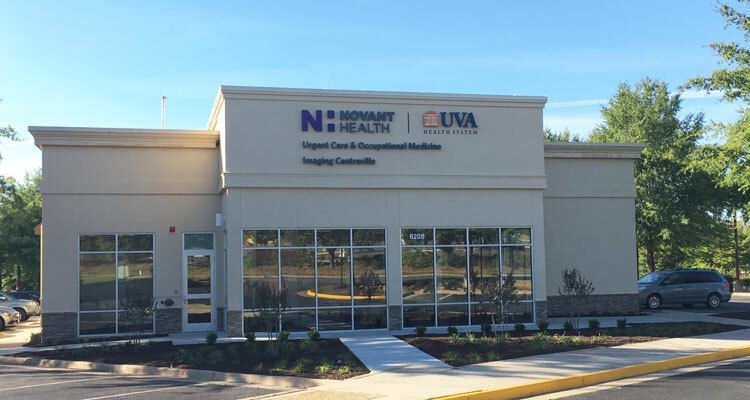 Novant Health UVA Health System Imaging – Centreville provides patients with convenient, high-quality imaging at an affordable cost and a remarkable experience at every visit. Our imaging center features our new MAGNETOM Skyra 3T, which is the most powerful magnet commercially available. With its 70-centimeter open-bore design and 550-pound weight limit, this MRI can handle nearly all MRI referrals, from the claustrophobic to any size patient. Walk-in X-ray requests are also available. View a Magnetom Skyra 3T by clicking here. All musculoskeletal and neuroradiology examinations are interpreted by sub-specialty, fellowship trained radiologists. Novant Health UVA Health System Imaging – Centreville offers you the ability to pay your account online. If you would prefer to speak to a customer service representative or you would like to use another form of payment, please call our Patient Financial Services Department at 877-442-2995 or you can email them by clicking here. The call center is open Monday through Thursday from 7:30 am – 6:00 pm EST and on Fridays from 7:30 am – 4:00 pm.Online payments can be made using Visa, MasterCard, Discover or American Express. PLEASE NOTE: The Pay Online feature below is only for those patients seen at the Centreville location. If you were seen at one of our other locations, please click here.